Featuring Endura+ fabric, the Zoot Core Tri Tank features mesh panels for enhanced breathability and 3 back pockets for storage. Race day performance combined with ultimate comfort make the Ultra Tri Tank a true winner. The CARBON fabric reduces heat build-up to regulate body temperature while also keeping you dry and cool. Race ready, training approved. 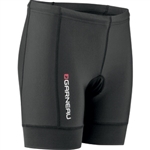 CEP Triathlon Shorts give you more energy for greater endurance and enhanced performance for triathlons. They feature medi compression in the leg, which improves circulation, reduces the muscle vibrations that frequently cause sore muscles, and increases coordination. Race day performance combined with ultimate comfort make the Ali'i Tri Tank a true winner. Go faster in the new Tri LTD racing kit. Premium sublimated Italian fabric manages moisture while providing maximum comfort and durability. 10" zipper allows you to control the venting and 3 rear pockets make it so you can store your nutrition needs. Enjoy the versatility offered by a full-zip racing top. The Zoot Men’s Performance Tri Full-Zip Tank provides adjustable ventilation through its zip feature and dries fast for an always comfortable wear. Its stitch construction produces a next-to-skin feel and minimizes chafing. Race day performance combined with ultimate comfort make the Ultra Tri Tank a true winner. The CARBON fabric reduces heat build-up to regulate body temperature while also keeping you dry and cool. Swim, bike and run, the Tri Cali Tank was built to perform. Enjoy full range of motion in this comfortable tank and side-stash pockets for the perfect nutrition storage. Sublimated Italian fabric helps you stay dry and comfortable while providing enhanced breathability. Show your support for the Breast Cancer Research Foundation with the new Racerback triathlon top. Constructed with sublimated Italian fabric to ensure the very best in moisture management, comfort and durability, you're sure to enjoy the fit of this tri top. Wear your favorite sports bra and still have the benefits of a Zoot triathlon tank top, new this season, the Performance Tri BYOB Tank. Performance Endura fabric to help you stay dry and comfortable, and a dropped back hem for enhanced coverage.